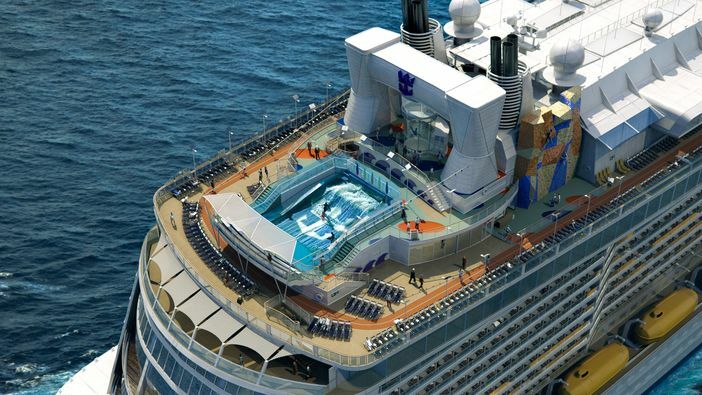 If you love being active, then you will find a number of things to do on Anthem of the Seas. That is because you can take part in such activities as rock climbing and engage in other exciting pursuits. 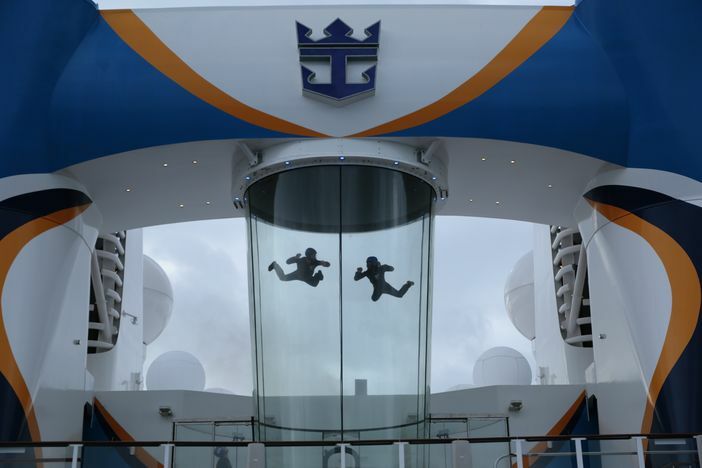 The RipCord by iFly is actually a simulated form of skydiving. This is one of those activities that will take your breath away. All passengers on the ship are entitled to a free 60-second flight. But, remember, you need to sign up early in order to book a spot. The activity is available to all cruise guests who are three years of age and older. 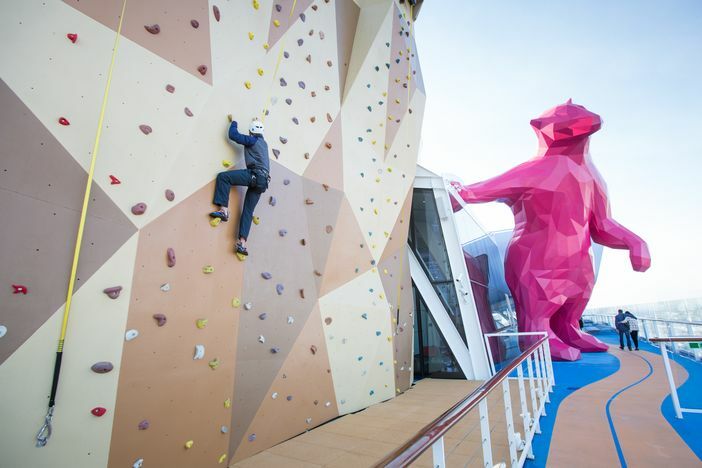 Another one of the things to do on Anthem of the Seas is rock climbing. So, if you enjoy activities in the Great Outdoors, then you won’t want to miss your chance to rock climb in the ship’s simulated environment. 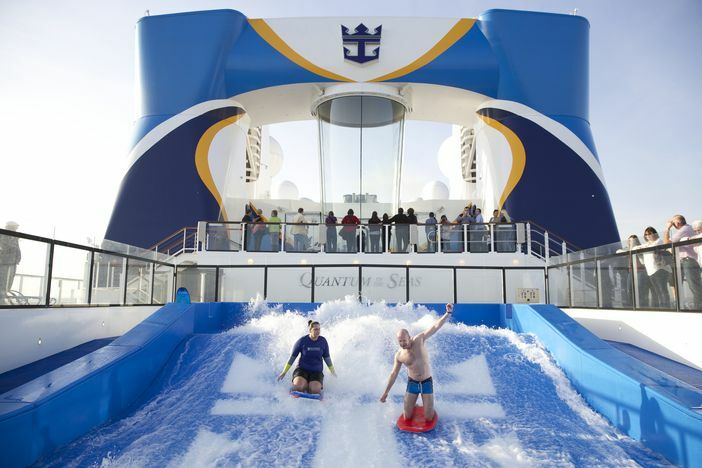 One of the things to do on Anthem of the Seas for surfers is a Royal Caribbean favorite: FlowRider. FlowRider, located on the upper deck, features a wave pool that allows you to get a feel for boogie boarding and surfing. What’s more, you do not have to pay to wipe out in front of strangers and family. However, you will have to pay for lessons. In any event, you will get your chance to surf, that is if you are willing to experience a little humiliation. Another no-fee, no booking required activity is the North Star. 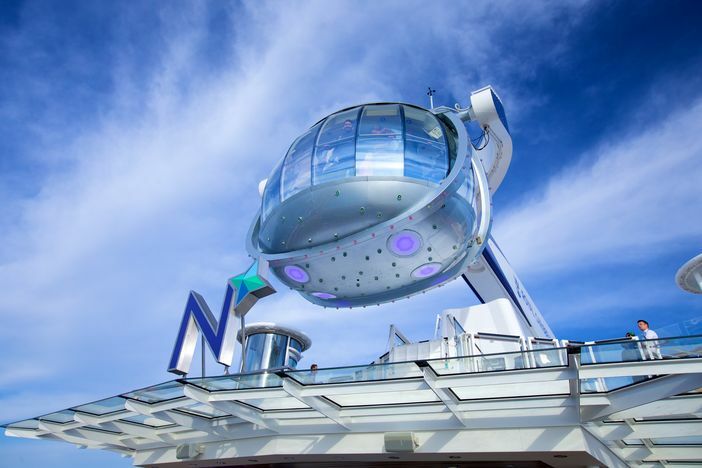 This is one of the things to do on Anthem of the Seas for anybody of any age. The capsule, which is enclosed by glass, is attached to a mechanical arm, which provides guests with photo opportunities and views that are one-of-a-kind. Therefore, it is imperative that you bring your camera with you when you ride in this free on-board attraction. You really can go places when you are riding in this unique glass enclosure, even if you remain onboard ship. Needless to say, Quantum class ships always provide the best entertainment for anyone who appreciates interesting and fun activities. What are you waiting for? If you want to spend an exciting and interesting time, then you need to book a reservation today.